Hamburg’s premier sonic prankster and dance music auteur has released his first album in seven years. It turns out that many wrongs really do make it right. There’s a hidden message stuffed deep inside the folds of DJ Koze‘s lush, at times disarmingly lovely new album Amygdala: good taste is overrated. That message is right there on the surface, in fact—just look at the cover, in which the German producer’s face has been photoshopped onto the body of a man sitting astride a caribou; the wilderness a violent shade of algae pink. The rider wears a long robe of what looks like silk brocade and, for reasons unknown, a motorcycle helmet. This is not a “serious” image, and Koze’s is not “serious” music—not, at least, in the way that so much underground (or “underground”) dance music tends to be, with its shadowy affect, dour atmospheres, and tough pretensions. That might sound counterintuitive, given Koze‘s uncommonly dulcet approach on silky, shimmering cuts like “Nices Wolkchen”, featuring muted vocals from the emo-as-ever Apparat, or “Homesick”, a campfire round (sung by Ada) masquerading as a shuffling R&B slow jam. The opening song features Caribou‘s Dan Snaith singing in typically limpid fashion over delicate kalimba plinking, and the closing “NooOoo”, featuring Tomerle and Maiko, is a Mellotron lullaby in the style of Tujiko Noriko‘s blissfully naïve electronica. The whole album brims with understated house grooves, jewel-toned samples, and contemplative melodies. But Koze, who came up in the hip-hop group Fischmob and the wisecracking trio International Pony before establishing himself as one of the Kompakt circle’s most unfailing party DJs, is too clever and too irreverent to get stuck in the rut of tasteful house—the kind of milquetoast, two-chord plodders that have become all too common in the latest deep-house revival. So he balances out all that seductive prettiness with subversive gonzo strokes. On “Magical Boy”, that means cartoonish jaw-harp twangs and Matthew Dear practically gargling his way through his cameo. On “Nices Wolkchen”, it means strange, dissonant bleeps that worm their way through Apparat’s velvety vocals. “Ich Schrieb’ Dir Ein Buch 2013” takes a song from the German chanteuse Hildegard Knef and suffuses it in feline mewling and wailing. “Marilyn Whirlwind” is a full-bore rave-up of tension-building guitar riffs and nagging, dentist’s-drill buzz, while easy-listening kitch garnishes the warbling “Das Wort”, which finds Dirk von Lowtzow muttering indistinctly like a B-movie villain before crooning, “We are all sensitive people, so much to give,” his voice breaking for added effect. In fact, Amygdala is a profoundly sensitive album; it’s just cheerful enough to be able to poke fun at its own sad-sack tendencies. 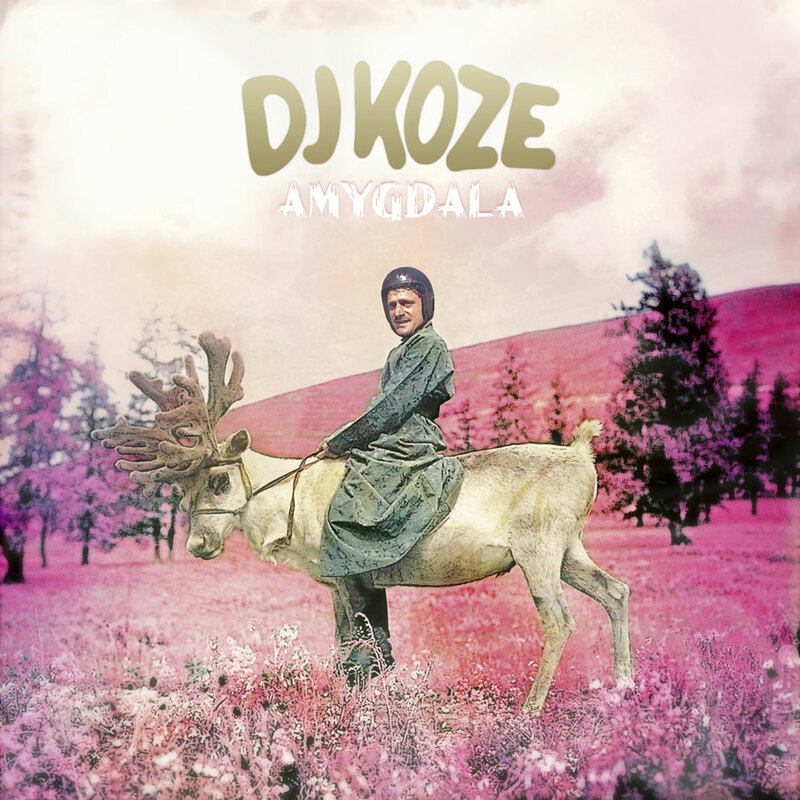 DJ Koze’s Amygdala is released today in Germany and early next week in the rest of the world via Pampa Records.